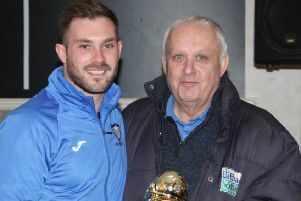 In the Tyneside Amateur League, Newcastle Chemfica Reserves were just eight minutes away from beating Bedlington Juniors for the second time this season before eventually bowing out of the Neville Cowey Cup on penalties. Ellis Bowen gave them the lead but the late equaliser from Darren Percy levelled the tie, and Bedlington held their nerve to win 4-2 on spot kicks to earn a semi-final against West Jesmond. Ryton and Crawcrook Albion Reserves also progressed after a 2-1 win over Newcastle East End over 120 minutes. Steven Cain and Peter Maxwell were their marksmen, with Paul Burke netting for East End. They will meet North Shields Athletic Reserves, who won an incredible game against Ponteland United Reserves. Having been 2-0 up and cruising, Shields were reduced to ten men and Pont capitalised to level the tie by the 90-minute mark and take a 3-2 lead by the midway point of extra time. However, they then capitulated and Shields scored a further three times to earn their berth in the last four. Leeroy Odd was again their hero as he struck four times, with Daniel Haggerston also on target. John McAdam, Daniel Brown and Daniel Potter had scored for Pont. There were goals galore in the league games, notably at Newbiggin Hall where Gosforth Bohemian Reserves ran out 4-3 winners. Mike Doran netted a hat-trick and Colin McLaughlin added the fourth for Bohs. For the hosts, who were men short throughout the match due to injury, Nathan Lowdon bagged a brace and Richard Tate also scored. Blyth Town Development and Forest Hall YPC shared six goals at South Newsham. Michael Embleton bagged all three for Forest Hall, but they were made to settle for a share of the spoils as Sam Watts bagged a brace and Shaun Taylor also scored. Newcastle Medicals and Killingworth YPC also shared the points as they drew 2-2. Medicals had taken a 2-0 lead through Liam Walton and Dan Ramshaw, but a penalty from Kyle Stocks and a last gasp effort from Dan Reay ensured the game finished all square. Stobswood Welfare made it back-to-back wins as they saw off Wardley 3-1. Jacob Baker netted twice and they also benefited from an own goal, whilst the returning Carl Clarke scored for Wardley. Lindisfarne Custom Planet Reserves and West Jesmond also drew 3-3. Phoenix Telfer, Liam Parr and Chris Conway were the goalscorers for Lindisfarne.